Utah has incredible wildlife, but some animals are not as highly esteemed as others. In fact, some are considered bad omens. In honor of Halloween, I’ve compiled a list of seven Utah species with scary reputations. 1. Owls, with their stealthy, predatory behavior, have instilled fear for thousands of years. These silent nighttime hunters have been associated with evil and death in many cultures. Native Americans linked the birds with black magic, and the Romans considered it bad luck even to catch sight of an owl. A close-up of a barn owl. Several authors have used owls in their writing as a symbol of doom. In Shakespeare’s Julius Caesar, owls foretell the murder of Caesar, and in J.K. Rowling’s Harry Potter series, owls are messengers for wizards and witches. 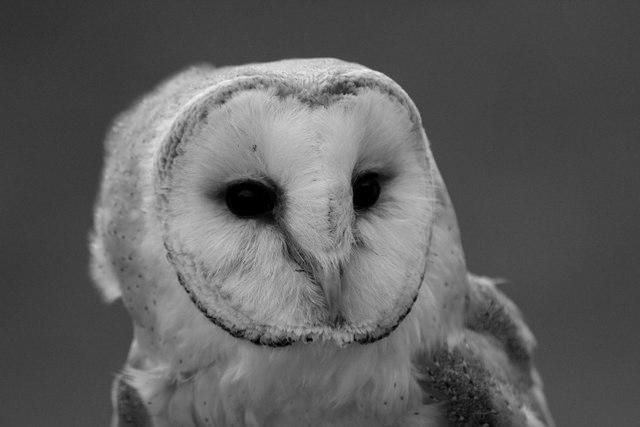 Barn owls are particularly spooky, with dark eyes and white faces that are reminiscent of human skulls. I personally find owls to be scary. Scary awesome, that is! 2. For centuries, toads have been the subject of myth, often portrayed as demons or tricksters. Some folklore tells of witches extracting toad secretions for use in flying potions and invisibility spells. Their dry, warty skin and peculiar personalities make toads and other amphibians revolting to some. We have a few different species of toads that call Utah home. If you find one, be careful in handling it. Not because you’ll sprout green warts — toads do not cause warts — but because toads’ skin secretes chemicals. Researchers are using these chemicals to develop new drugs that treat everything from cardiac problems to cancer. 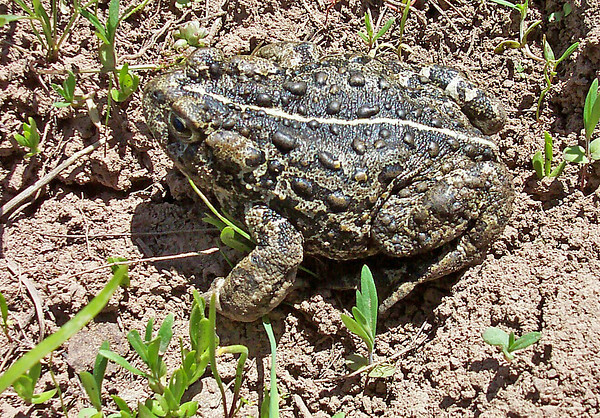 A boreal toad in Utah. 3. When I hear the name Edgar Allen Poe, I immediately think of “The Raven.” The common raven, a species abundant throughout Utah, has many spook factors. Take its appearance, for starters. It’s a massive, jet-black bird with shaggy throat feathers and a knife-like beak. They’re intelligent, acrobatic and sneaky. Oh, and ravens will eat pretty much anything: from small, already-dead mammals to bird eggs and fruits. I’m with Poe in finding these birds a little on the creepy side. Their deep, gurgling croak is enough to raise the hair on my arms. 4. What good is a spooky species list without the mention of bats? These creatures of the night have long inspired fear and dark omens. Often called out as blood suckers, flying rats and disease carriers, bats have a pretty bad rap. It probably doesn’t help to know that some bats actually drink blood. But don’t worry — those species don’t live here in Utah. (Nor is human blood their feast of choice.) Luckily, most of what we hear about bats is untrue. Bats are actually shy, gentle and intelligent, and they eat millions of pounds of insects every year. But they hang upside-down in caves and haunted houses, and that is a little peculiar. 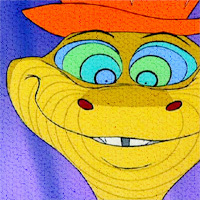 Sir Hiss from Disney’s Robin Hood. 5. Snakes, a frequent symbol of evil in literature and folklore, have some serious creep credit. They slither around sans legs, quietly waiting to strike or constrict their quarry to death. There are a handful of old wives’ tales I can’t help but recall when I see a snake out in the wild, but the stories aren’t true. They don’t really inject venom through their forked tongues and hypnotize their prey. They actually do a great job controlling mice, rats and other small critters. My head knows that snakes are a crucial part of our ecosystem, but my feet will put some serious distance between me and any snakes I see. 6. Thanks to their color, behavior and fondness for rotting flesh, American crows conjure images of graveyards, dead bodies and battlefields. One superstition holds that if a crow lands on a roof, death or misfortune will befall the home’s inhabitants. Crows will eat practically anything, but they prefer to munch on soft tissue, such as the meat inside an open wound or eyeballs. EYEBALLS. This makes their group name — murder — eerily fitting. Crows are crafty, mischievous and social, often congregating in huge groups. Imagine tens of thousands of crows flapping overhead, with their harsh “caws” echoing all around. Yikes. A turkey vulture in Utah. 7. Until I sat down to write this post, I didn’t realize how many spooky, carcass-eating birds live in Utah. 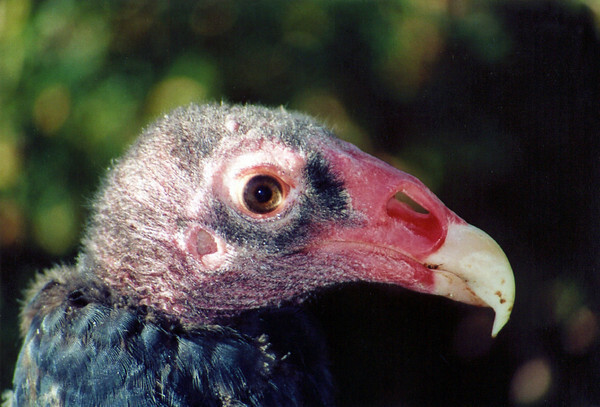 The last on my list is the turkey vulture. They feast mainly on dead animals, but can live for more than two weeks without food. In ancient Greece, vultures were regarded as unlucky, and Persian lore tells of a pair of vultures guarding the gates of Hell. With a six-foot wingspan, hooked beak and husky build, topped with that characteristic red bald head, the turkey vulture isn’t exactly majestic. I have to admit, I’m a little frightened by their appearance alone. Have you had creepy or memorable encounters with any of these critters? Tell us about them! Could you tell me what a horseshoe crab looking creature might be that we found in a fresh water pond in the San Rafael Swell in Utah? They range in size from 5 cm to over an inch long. They burrow small holes into the mud on shorelines of pond. They have rounded heads/bodies with a long tail that ends in 2 spikes.